Showings Start Tuesday, March 12th. 24 hours notice required for showings! 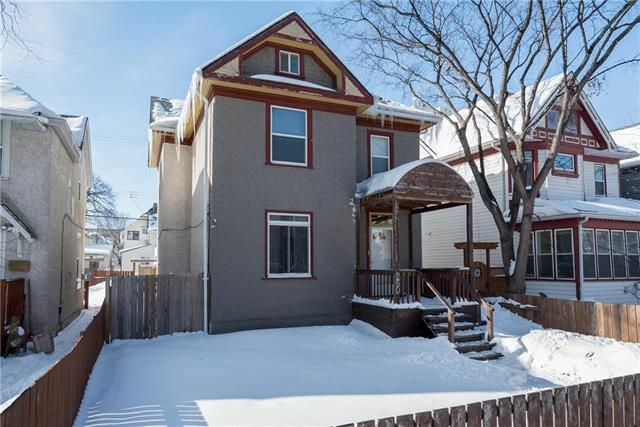 This well maintained, income generating duplex is a great opportunity for students and/or professors of the University of Winnipeg, first time home buyers, or investors - live in one suite and rent out the other, or rent out both! Both suites are spacious and clean, they each have an updated kitchen and bathroom, the home has a newer high efficient furnace and central a/c system, shared laundry with newer machines for both units on main floor, updated shingles in 2013, newer back deck and sliding fence enclosure for parking, and many updated windows throughout. Located steps from the University of Winnipeg, and close to downtown, Osborne Village, Sherbrook Street restaurants and shops, transit, and just down the street there is a community garden and park! Call your Realtor® today for more information on this fabulous property!